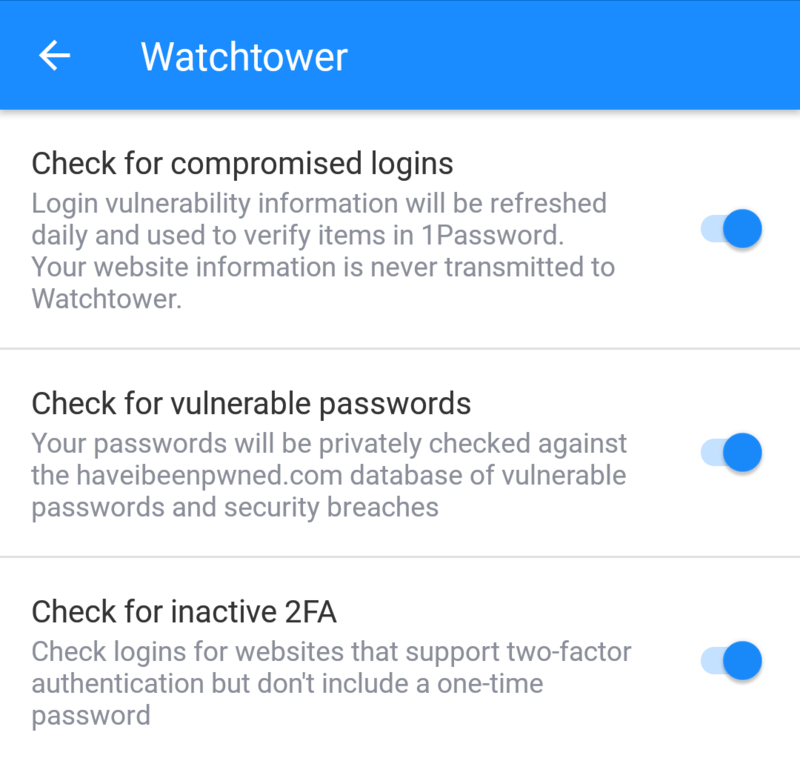 We continually update Watchtower as security breaches are reported, so you can change your passwords right away. To find items that need your attention, click one of the options under Watchtower. If any of your items require action, you’ll see an alert banner at the top of the item while using Watchtower. 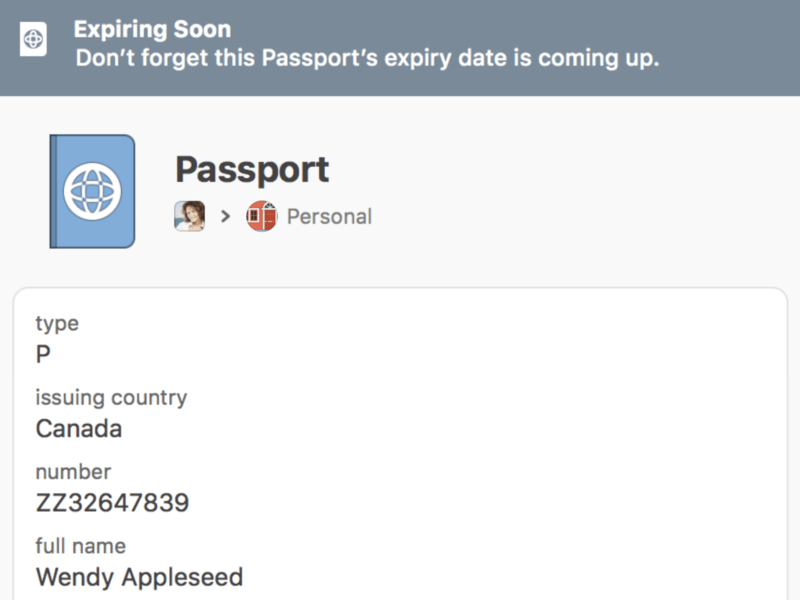 Items that appear under Compromised Logins, Vulnerable Passwords, or Expiring will show an alert banner throughout 1Password. Compromised Logins are logins for websites where a security breach has been reported, and you haven’t changed your password since the breach. 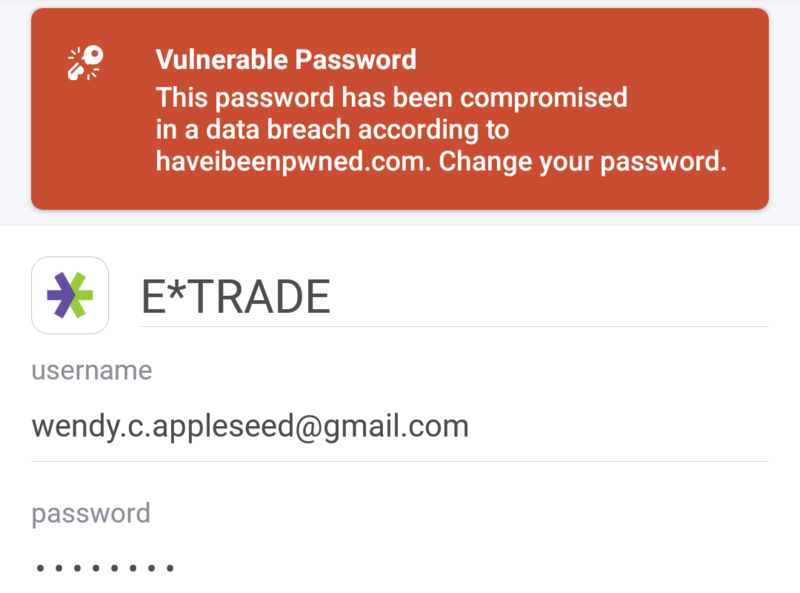 Vulnerable Passwords are items with passwords that have been exposed in a data breach. An attacker may not know that you have used that password, but you should still change it. 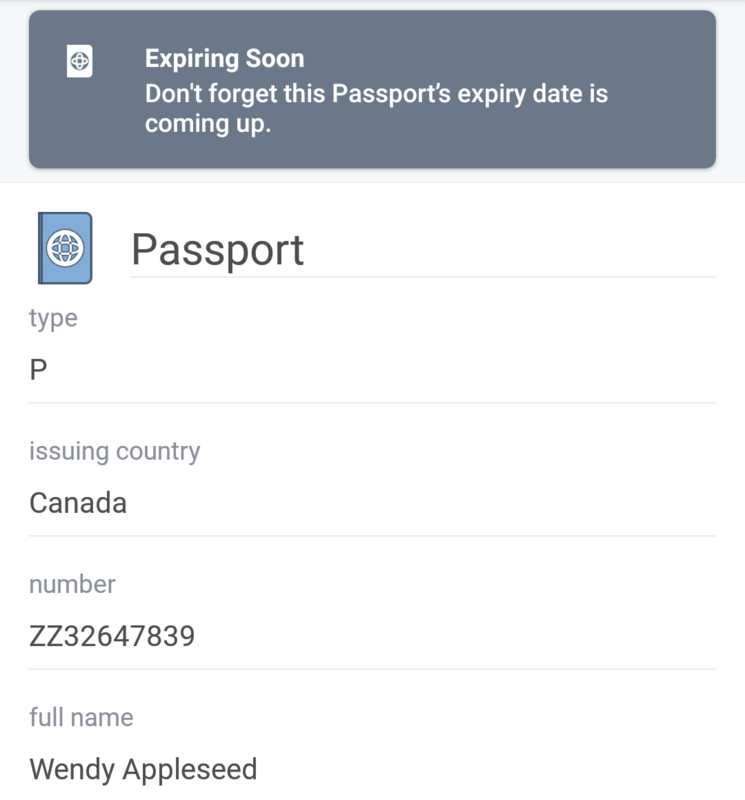 Reused Passwords are items in your current vault that share the same password. To check for reused passwords across all your vaults, switch to All Vaults, and make sure all your vaults are included. 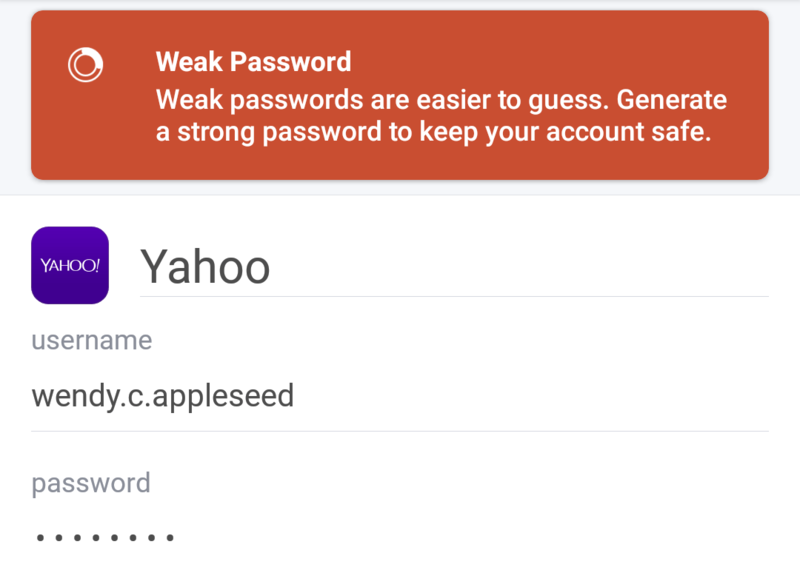 Weak Passwords are items with passwords that are easy to guess. 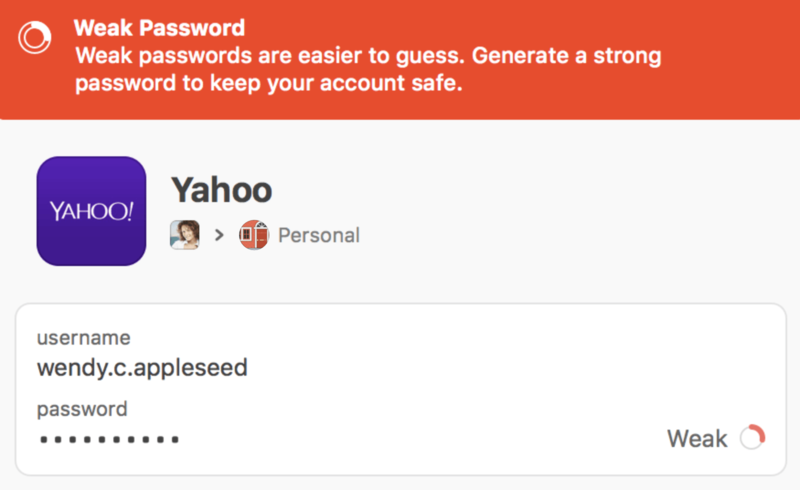 To keep all of your accounts secure, make your passwords stronger. Unsecured Websites are logins in which the first website field starts with http://. Any passwords you enter while on the site will be sent in plain text and could be intercepted. 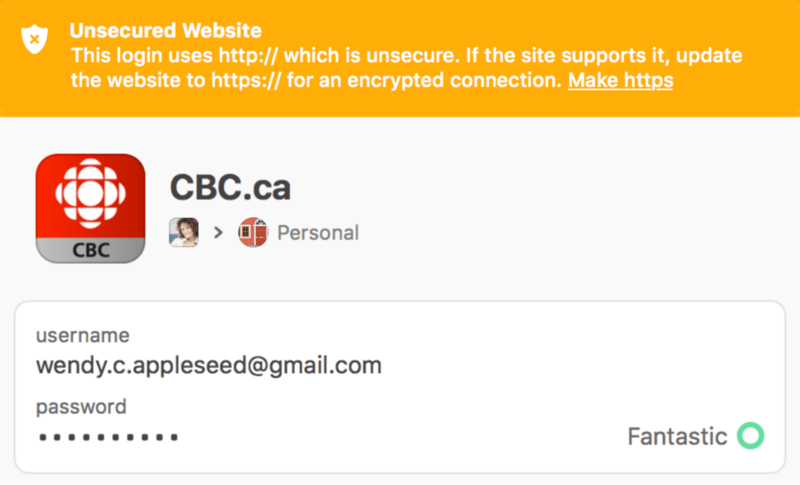 If the website supports https://, click “Make https” to update the URL. If the website doesn’t support https://, add the http tag to exclude it from the list. 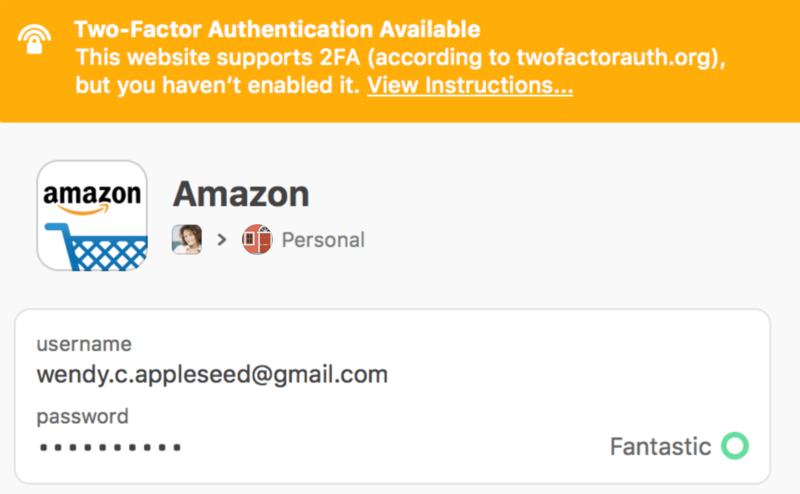 Inactive 2FA shows logins for websites that support two-factor authentication, but don’t have a one-time password. Click View Instructions to learn how to set up two-factor authentication for that website. 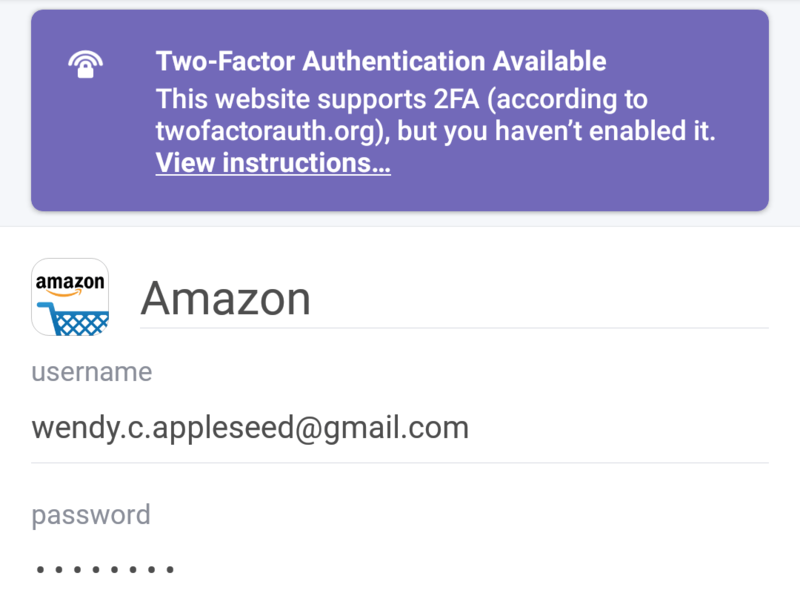 If you use another app to manage two-factor authentication, add the 2FA tag to exclude it from the list. Tap an item to see its details. 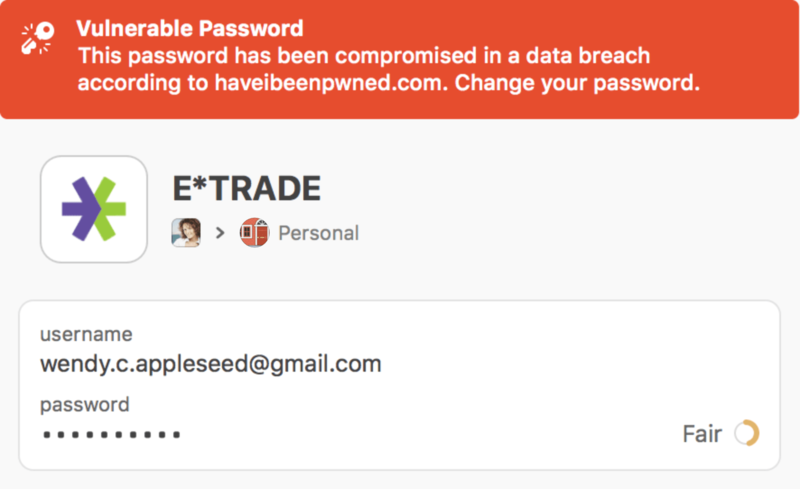 If you see a compromised Login alert, change its password. 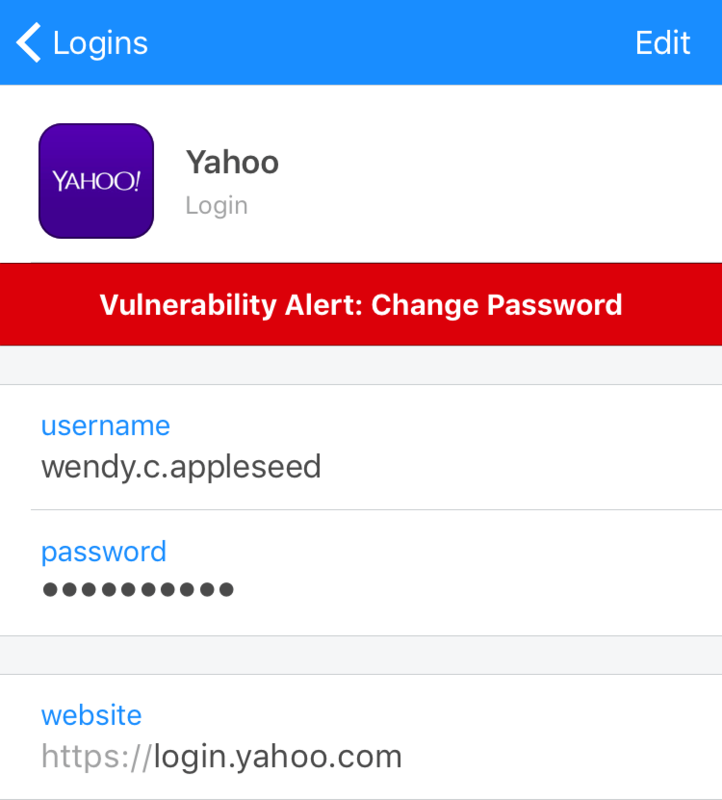 To learn more about a compromised Login, tap the red Vulnerability Alert banner, then tap Learn More. If the website supports https://, edit the login and update the URL. Go to Settings > Watchtower. You’ll see an alert banner at the top of items that need your attention. 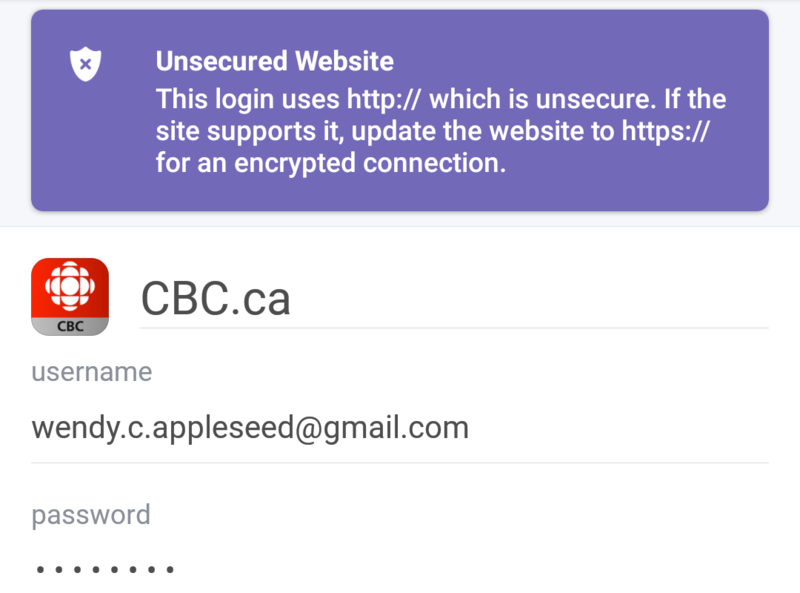 If you have login items for websites that support two-factor authentication, but don’t have a one-time password, you’ll see an alert banner.